Both units are fenced and pet friendly. Honne-Pondokkies is situated in the remote village of Hondeklip Bay on the Namaqualand coast, where peace and tranquility are a way of life and folks live at ease with their surroundings. Here all visitors are welcome and free to meander, without restraint or apprehension, along a picturesque 14 km shoreline.We offer six self-catering units with views of the ocean from the patios, and within walking distance to the beach. Pondokkie 1, 2 and 7 is typical, beautiful and luxurious west coast accommodation. Pondokkie 3, 4, 5 & 6 are luxurious wood chalets with thatched roofs. All units, accept Pondokkie 7, have DStv and have a full sea view. Each unit has its own braai area and there is also a braai room for the rainy days. Enjoy a sun-downer on the patio while watching a beautiful sunset. We also have a huge lapa and boma for the more adventurous. All our units are fully equipped with gas stoves (oven included) and microwave ovens.We also have a beautiful luxurious dining room and a warm delicious breakfast may be enjoyed at our facility. (Booking required upon arrival)We proudly announce that we have a beautiful swimming pool and braai area for the enjoyment of the whole family. Kiddies may also entertain themselves at our fun park. 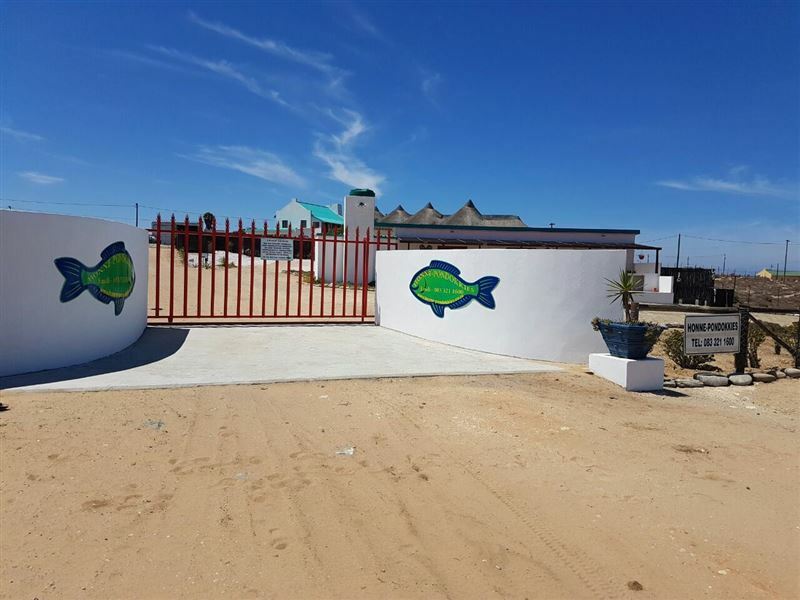 All seven units are pet friendly, but on owners own risk.Hondeklip Bay is about 90 km on a gravel road from Garies and 200 km from Springbok. Petrol and diesel are available in Koiingaas, which is approximately 22 km from Hondeklip Bay. You will find four restaurants and two general dealers where you can buy groceries in this quaint village. "Hondeklipbaai remains at the top of our &apos;happy places&apos; list with its uncomplicated and simple lifestyle. Although there is a definite ugrading of roads within the village itself, the dirt roads approaching Hondeklipbaai mean that it is not an ideal one night stopover place although it may be easily be done. However, Honne-Pondokkies are well situated for restaurants and the &apos;sights&apos;, longer stays are most enjoyable and give one the opportunity to braai or sample good food and sundowners overlooking the picturesque little bay area and lighthouse. The accommodation is clean and comfortable, however, it is worth noting that if one is staying for more than one night the cottages are not serviced, meaning that your belongings will not be tampered with when you are out. It also means that it is advisable to take along an extra toilet roll or two. In winter, although a heater and one extra blanket is provided an extra blanket would go a long way to making Cottage 1 more comfortable. 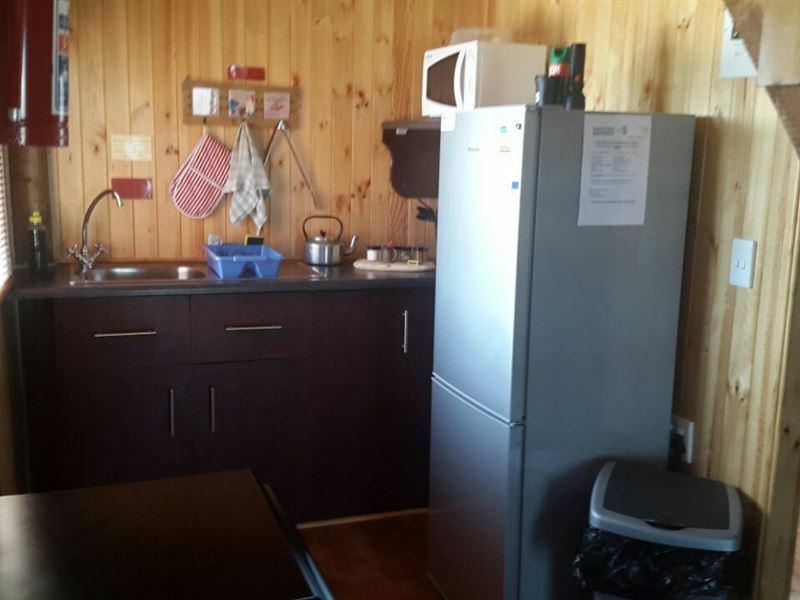 There is ample fridge and freezer space as well as gas stove if one is self catering. Walking shoes are a good idea as walking around the village is both safe and most enjoyable. It must be noted that a section of the road (Klipfontein) has been tarred near the N7 on the Garies side approach road making the drive safer and more pleasant. Sadly the road signs, directions and google maps don&apos;t seem o reflect this as yet." "Loved everything. Host was friendly and welcoming"
"The view, the hospitality the chalet"
"The only thing is we should&apos;ve stayed longer! Thank you for everything!" "Thatched bungalow with beach in walking distance"
"I enjoyed the furnishings of the bungalow having a lovely gas stove and good quality cooking tools. The swimming pool with lounges was refreshing to cool down during afternoon. The cottage was in walking distance to the beach and staff were most accommodating to ensure my father and I enjoyed our stay!" "The cottage was comfortable and clean." "These are the chalets I expected and booked for. Our accommodation was actually an old house, nothing like these chalets.Establishment Response:The Honne-Pondokkies advertise 6 units of whom 2 are typical west coast units. You have booked one of them and therefore it was a traditional west coast unit and not one of the thatch units. RegardsMD Swanepoel"
"dit was baie lekker water was n problem en die resturante was toe almal"
"Die water situasie groot probleem.Uitsig van Pondokkie 1 word bederf deur Pondokkie 2 se voertuig parkeering.Establishments response:Daar was geen waterprobleem oor hierdie naweek wat julle ons besoek het nie,maar deel my bestuurderes my mee dat jy blykbaar die reserwe tenk oopgemaakhet en dat &apos;n klomp water terug in die munisipale pyp ingestoot het.Jy het voorts ook sonder toestemming met die drukpompie gepla. Die parkeringvoor Pondokkie 1 en 2 is baie groot en is ons jammer as die gaste byPondokkie 2 so parkeer het dat dit jou see uitsig belemmer het, maar sou onsdit waardeer het as jy tydens jou besoek dit onder ons aandag gebring het,waarna ons dadelik die gas sou versoek het om sy voertuig te skuif." "Hondeklip baai is quite far from city life. It was a great pleasure to find Honne-Pondokkies on our trip in the North Cape. Chalets are great and well equiped.We can recommend everyone to have dinner/breakfast at Die Rooi Spinnekop restaurant. What a great food in a small village"
"We enjoyed our stay. The units are well equipted. The unit is nicely situated and close to the beach."